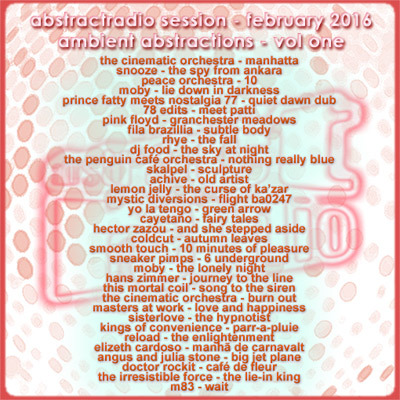 Aka: "Now that's what I really call chilled"
For you, seeing as you asked so nicely, here's our latest epic session in all its five hour meandering magnificence, available as a single download in glorious stereophonic sound. Just don't say we don't spoil you. Recorded at 320kbps/ HQ VBR. Beware: a fairly sizeable file:- 423MB. Recorded in February 2016 with VDJ7 and SoundForge10. If you have any problems with the download link above, please let us know. 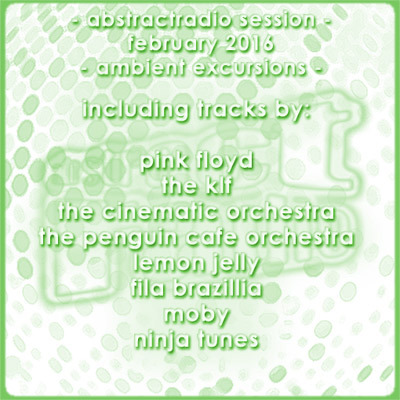 NB: The session is also available as a stream in two parts: here and here. The full track-listing is also available via these two links. 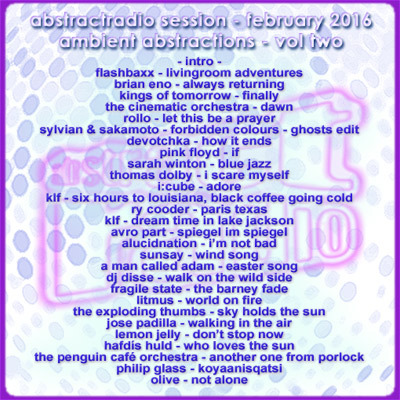 Aka: "Now that's what I really call chilled volume 2"
To [finally] see in 2016, we’d like to take you on an epic journey through 60 years of the finest chillage, featuring a hand-picked selection of laid-back noodlings from the AbRad vaults, favourites of daytime TV producers, idlers and insomniacs alike the world over. Here’s the second, slightly shorter half of the two-part, 5 hour [we did say epic] session. The entire five hour session can also be downloaded here. With a lot of fantastic stuff from the Ninja stable, there’s just too many stand out tracks to mention in dispatches - you will have to listen for yourself. Suffice to say, there’s a fair number of golden moments here. So, lie back, snuggle up, relax and float downstream [but keep your hands where we can see them]. Here’s the first half of the two-part, 5 hour [we did say epic] session.